Course Fee: Special Offer – Now only €364.00 which includes all registration and QQI award Fees. Award: QQI Level 6 component Certificate in Sports Nutrition (6N4651). Duration: Students can complete this course within 3 months which is ample time and can start it at anytime of the year that is convenient. If students need to extend this period for any reason during or near the end of the course they can request an extension through the college. Sports Nutrition will provide learners with specific information on how to advise athletes and interact with people in Sport. The learner will work through these interactions and interventions and understand how these interactions effect a change in sports performance. The learner’s goal of improving Sports performance through improved Sports Nutrition will be underpinned by the practical learning throughout the course. With this theoretical and practical understanding of Sports Nutrition the learner will be confident in the application of techniques and theories in a practical sporting environment. On successful completion, the learners will be able to describe how Sports Nutrition can effect change in athletes. They will understand the key physiological responses to the correct nutrition. They will understand desirable and undesirable effects of Nutrition programmes and how to elicit the correct responses and improved sports performance. The learner will need to adapt different theories and interventions to different clients with varying health and sporting performance requirements to affect these positive responses. Learner outcomes are designed to teach the student the required positive outcomes from Sports Nutrition. The learner will need to experience Sports Nutrition principals with an individual and in a group environment. The learner needs to look at the role of good nutrition advocates to help the client move towards these positive outcomes. The learner needs to understand the desired levels of nutrition. Over or negative nutritional advice to clients can have a negative effect. An inverted U hypothesis will explain the balance between under and over nutrition. The learner needs to understand when the correct level of intervention has been achieved. The learner’s key learning outcomes will be based on their ability to judge the correct nutritional approach for each individual. The learners will be able to explain the underlying principles and benefits of nutritional interventions and apply this knowledge to the implementation of Sports Nutrition programmes. Finally, this module will prepare the learners for the execution of tests and programmes to create a holistic approach to Sports Nutrition. On successful completion the learners will be able to carry out Sports Nutrition programmes while maintaining a safe environment. This 3 month distance learning programme will be offered to the learner on a part-time basis and has been designed to be sufficiently flexible so that it may meet the needs of the learner who accesses programmes through many different avenues at ITEC College. Learners who successfully complete this unit will have a comprehensive view of different food sources and how they effect change on the body during exercise. These nutrients will then be explored in relation to creating energy for athletic performance and how this energy is utilised during different activities for different people. Macro nutrients and their functions. Different activities and different foods. The Glycemic Index of foods. Energy systems and athletic performance. How to train the energy systems. Learners who successfully complete this unit will understand the requirements for nutrition and fluid control for peak energy performance. The learner will understand how and when the body requires nutrition and fluid to perform. The learner will understand the detrimental effect of incorrect preparation on sports performance. Water and its importance to athletic performance. Fluids and the detrimental effects of dehydration. Assessing fluid requirements for different sports intensities. Assessing nutritional intake for sports. Nutrition fluid and sports durations. 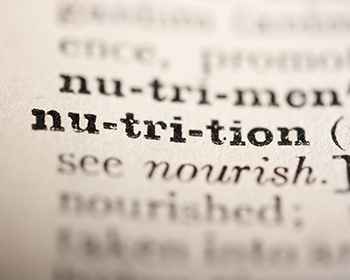 Individual assessments of nutritional requirements. The energy balance and nutritional intake before, during and after exercise. Unit 3: Weight Management for Sports and Exercise. Learners who successfully complete this unit will be able categorise and understand eating disorders. The learner will need to understand average expected BMI and metabolic rates to diagnose any unusual measurements. A general empathy and diagnostic approach with overweight and underweight issues is required along with a keen understanding of how to administer the correct nutritional advice. Highlight the range of eating disorders and how they affect the body. Describe the effect these issues can have on the body over time. Understand Weight management and the effects of obesity on the body. Described Basal Metabolic Rate (BMR) and its relevance to daily nutrition. How can BMR help assess sports nutrition and performance. Understand weight management strategies and how they can improve general health and fitness. Explain the range of tests that can be used to assess body composition. Explain the energy balance equation and how it affects sport performance and general weight management. Highlight weight management strategies and how they have developed over time. Explain how different people will require different weight management programmes. Describe programme content for different clients with varying weight, nutritional issues and requirements. Create approaches to address weight and nutritional issues and how these programmes are manages to effect change. Highlight the physiological and psychological advantages of a healthy weight and correct BMI. Nutrition and a healthy lifestyle. Unit 4: Micronutrients Supplementation and Ergogenic Aids. On completion of this unit the learner will have a working knowledge of micro and macro nutrients. The learner will understand their physiological importance and how they impact on athletic performance. The learner will always be cognisant of the caloric impact of all foods, supplementation, ergonomic aids and daily nutritional requirements. Role of macronutrients and micronutrients in the diet including their sources, functions and energy values as well as what constitutes a balanced diet. The role of macro and micro nutrients in reducing body fat and increasing muscle mass. Macronutrients and micronutrients in sports performance. Positive and negative effects of macro and micro nutrients. Caloric Breakdown of Macronutrients and correct ratios for sports performance. Creation of improved athletic performance through supplementations. Use of Ergonomic aids for improved sporting performance. QQI / FETAC Level 5 in a Sports area or equivalent qualifications and/or relevant life and work experiences. As this programme is delivered through blended learning, students must be capable of studying on their own initiative. The internal assessor will devise a brief that require the candidates to produce evidence that demonstrates an understanding and application of a range of specific learning outcomes. The brief for this assignment will focus on the nutritional requirements for sports specific athletes. Show an understanding of the range of Macro and Micro nutrients. Indicate how the utilisation of these macro and micro nutrients is important for peak sports performance. This brief will ask the learner Identify weight management issues, how to assess for suitable weight in athletes and prescribe nutritional and behavioural change programmes to address any weight management issues referring to the indicative course content. The internal assessor will devise a theory based examination that assesses candidates’ ability to recall, comprehend and apply the theory learned in the module by answering both short and longer structured question types. The examination will be based on a range of specific learning outcomes from each of the units in the module. Following successful completion you will receive a QQI Level 6 component Certificate in Sports Nutrition (6N4651). QQI (Quality & Qualifications Ireland) is the national awarding body for further education and training in Ireland. The Open College is registered with QQI to offer programmes leading to QQI awards in the National Framework of Qualifications in Ireland. Click here for details of the National Framework of Qualifications. This QQI Level 6 Sports Nutrition (6N4651) programme is delivered by our sister College, The Open College. This programme is the latest CAS awards validated by QQI and The Open College.